Mom, this one’s for you. If you’re a coconut lover, this one’s also for you. I’ve always been coconut crazy. I keep a big bag of flaked coconut in my fridge to sprinkle on my yogurt, steep in my tea, or snack on with chocolate chips. I think I like it so much because the creamy coconut flavor reminds me of relaxing on a tropical island. As I mentioned before, my family goes on vacation to Hawaii often. My trip is never complete without drinking some fresh coconut milk out of a young coconut and eating the sweet and delicious flesh. My Hawaiian trips would also be incomplete without a couple Piña Coladas. I don’t know what it is about coconut and rum—it is just a match made in heaven! I wanted to create a cookie that captures this island flavor. It took me a few batches (special thanks to all my guinea pigs! ), but I gotta say, I think I nailed this one. To preserve the integrity of the rum, I let the coconut flakes soak in a generous amount of rum for a couple minutes before adding other ingredients. The dried coconut flakes rehydrate, so when you bite into the cookie, it leaves you with the warm, rum flavor lingering on the back of your tongue. That being said, do NOT skimp on quality—use a good quality aged rum, which you would enjoy sipping. 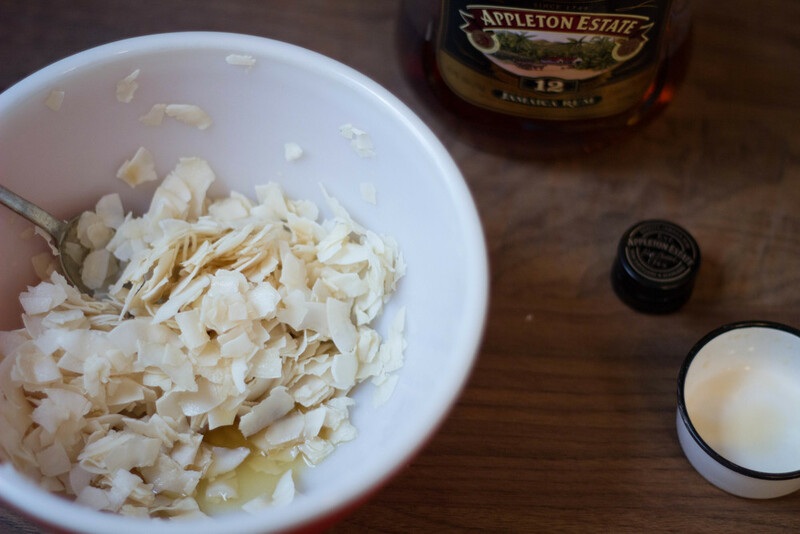 Combine flaked coconut and rum in a medium sized bowl. Toss the coconut until the majority of the rum is absorbed. 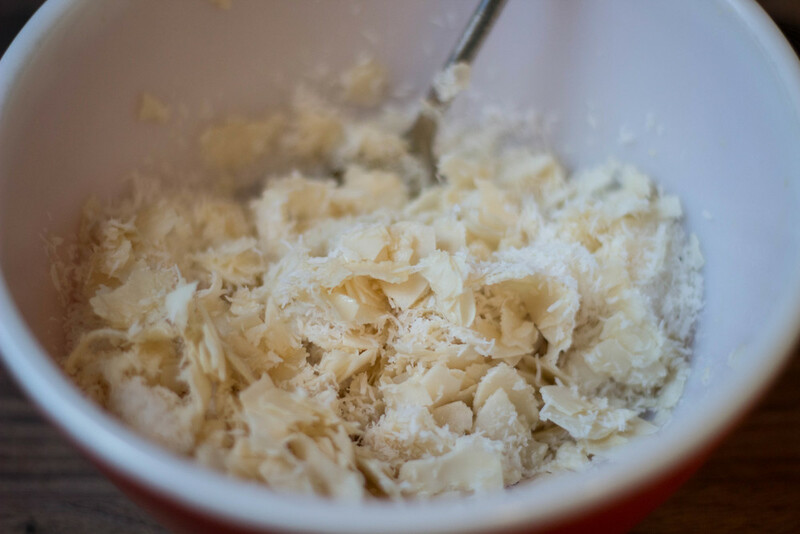 Mix in the shredded coconut and flour. In a separate bowl, beat one egg white with vanilla extract. Add the sugar and salt, and beat until smooth. Pour the egg mixture into the bowl with the coconut and mix well. Line baking pans with parchment paper and drop on spoonfuls of batter. Bake for 16-18 minutes, until golden brown. 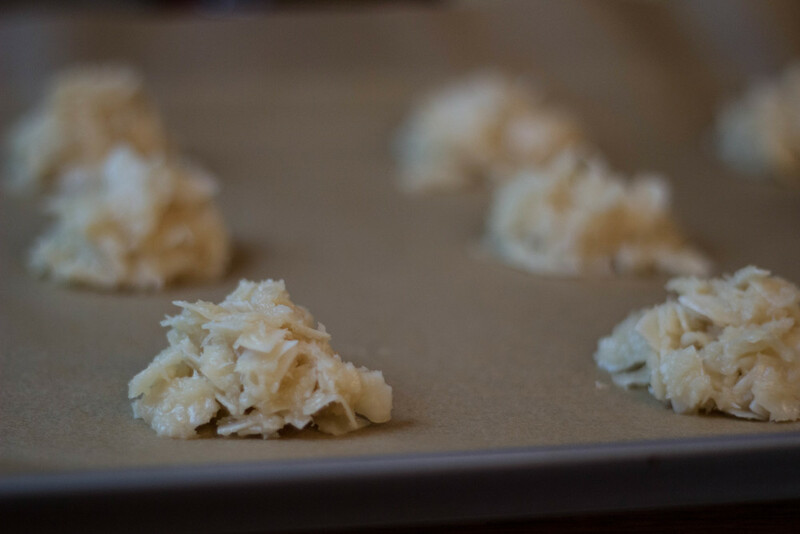 Let them rest on the baking sheet for 5 minutes before transferring to a cooling rack.